In the 1920s, 30s and 40s Art Deco architecture came to define the fledgling city of Miami Beach. Following WWII the world moved on to other design movements and South Beach faded along with its architecture. The Miami Design Preservation League (MDPL), led by Barbara Capitman and Leonard Horowitz revived the buildings and by doing so revived the city. Now we cannot image South Beach without its Art Deco. The talk will begin with a review the elements of Art Deco architecture in Miami Beach and an overview of its history. The audience will be led through the rise of Art Deco its fall and subsequent rebirth in Miami Beach. The speakers will also give a summary of MDPL’s role in that revival and its current activities. There will be time at the end for questions. 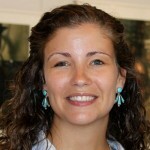 Ms. Frankel is the Director of Programs and Outreach for the Miami Design Preservation League. As a part of this role she oversees the educational programming for the League and works with its Public Policy committee on advocacy issues. She holds a Master Degree in Urban Planning from the University of Pennsylvania and a Bachelors Degree in Geography from Clark University.